Karachi: Two minor Hindu sisters were allegedly kidnapped and forcibly married after being converted to Islam in Pakistan’s Sindh province, triggering protests by the minority community. The two girls, 13-year-old Raveena and 15-year-old Reena, were allegedly kidnapped by a group of “influential” men from their home in Ghotki district on the eve of Holi. Soon after the kidnapping, a video went viral in which a cleric was purportedly shown soleminising the Nikah (marriage) of the two girls. Later another video surfaced in which the two sisters claimed they embraced Islam themselves and no one forced them to covert or get married. The Hindu community in Pakistan has carried out massive demonstrations calling for strict action to be taken against those responsible, while reminding Prime Minister Imran Khan of his promises to the minorities of the country. 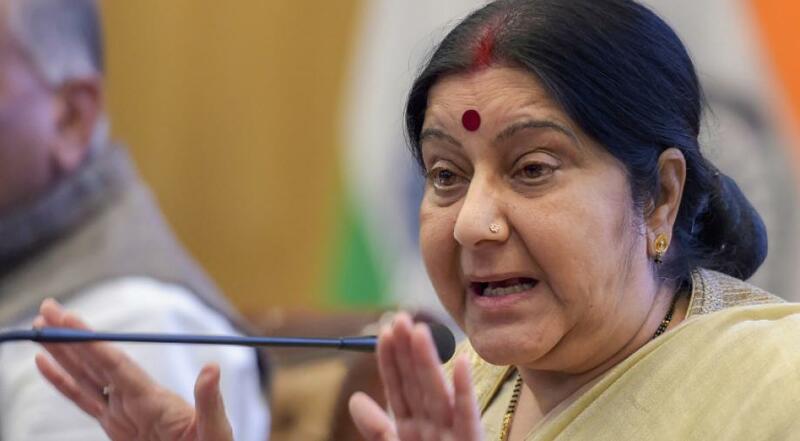 External affairs minister Sushma Swaraj said on Twitter that she had asked the Indian High Commissioner in Pakistan to send a report on the incident. Sanjesh Dhanja, President of Pakistan Hindu Sewa Welfare Trust, an NGO, called on Prime Minister Khan to take note of the incident and prove to everyone that minorities were indeed safe and secure in Pakistan. The truth is minorities suffer from different sorts of persecution and the problem of young Hindu girls being kidnapped at gunpoint and forced to convert to Islam or get married to much older men is widespread in Sindh, he said. The Hindu community leaders have claimed that the accused belonged to the Kohbar and Malik tribes in the area. Following the incident, an FIR was filed by the girls’ brother, alleging that their father had an altercation with the accused some time ago and on the eve of Holi they armed with pistols forcibly entered their home and took the sisters away. A Pakistan Muslim League-Functional MPA Nand Kumar Goklani, who had initially moved a bill against forced conversions, urged the government to get the law passed immediately. We demand the government to take up my bill and get it passed without any delay, he said. Goklani said: “The fact that the two girls were underage confirmed it was a crime and they couldn’t show free will on getting married or conversion to Islam”. “One of the accused persons has been arrested, while the police were conducting raids to arrest the others,” a senior police official of Ghotki district said.